Exporter of a wide range of products which include artesunate injection, pyrimethamine and sulfadoxine tablets, artesunate and mefloquin tablets, chloroquin phosphate tablets, artesunate and amodiaquine tablets and artemether and lumefantrine tablets. 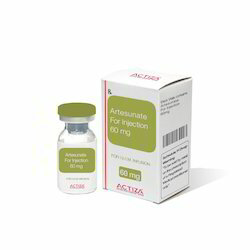 We are leading Exporter and Manufacturer of Artesunate Injection. Artesunate acts by producing free radicals within the malarial parasite, which kills it. Artesunate Injection exporter, manufacturer, supplier in India. We are leading Exporter and Manufacturer of Pyrimethamine and Sulfadoxine Tablets. Mefloquine is a weak base that reaches high concentration within the malarial parasite and causes accumulation of toxic heme pigment, which kills it. Artesunate and Mefloquin tablet exporter in India. We are leading Exporter and Manufacturer of Chloroquin Phosphate Tablets. 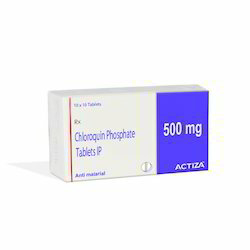 Chloroquine is a weak base that reaches high concentration within the malarial parasite and causes accumulation of toxic heme pigment, which kills it. We are leading Exporter and Manufacturer supplier of Artesunate and Amodiaquine Tablets in India. We are leading Exporter and Manufacturer of Artemether and Lumefantrine Tablets. Artemether acts by producing free radicals within the malarial parasite, which kills it. Lumefantrine is a weak base that reaches high concentration within the malarial parasite and causes accumulation of toxic heme pigment, which kills it. We are leading Exporter and Manufacturer of Amodiaquine Hydrochloride Tablets. Amodiaquine is a weak base that reaches high concentration within the malarial parasite and causes accumulation of toxic heme pigment, which kills it.